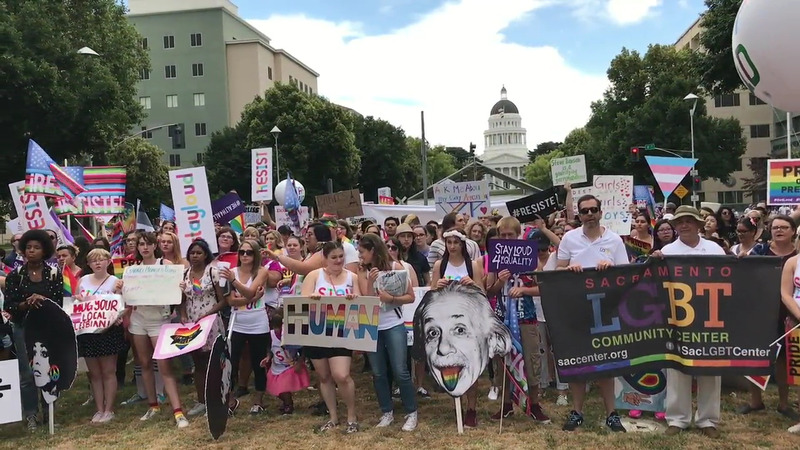 Marchers took over Sacramento for the annual PRIDE parade and march. The event brought people together at the Capitol Mall to celebrate lesbian, gay, bisexual and transgender people and promote equal rights. “We march to reaffirm that we are one community.” Watch the video at Access Local. This entry was posted on June 29, 2017 by Manager in Access Sacramento, Video and tagged LGBT, LGBTQ, PRIDE march.